← June 7 SBW Meeting – Paddle Party! The July 5 Sedalia Business Women’s meeting was called to order by President Donna Hirner-Gardner. The meeting was under the direction of the Issues Management Committee, Amanda Herrick, chair. 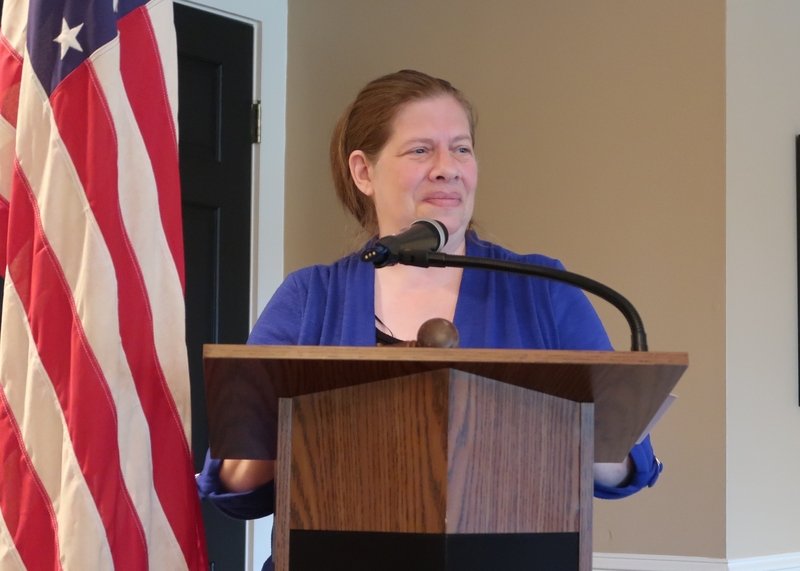 Guest speaker was Jane Stewart, commander of the George Whiteman Memorial American Legion Post 642. They work with the JROTC as well as Boys and Girls State. She gave an interesting presentation on the American Legion and the American Legion Auxiliary. We were honored to have special guests from Business Women of Missouri. Ruth Christian is our Northwest Regional Director and she was accompanied by her sister and Past State President Betty Beason. Ruth updated the club on upcoming the September 22 Northwest Region Conference. Sedalia will be in charge of the silent auction this year. The Chicken Dinner will be held on October 21 which is the first Sunday of Business Womens Week. Flyers will be available soon! Membership Chair Julie Slocum installed new member Jean Boston, sponsored by Amanda Herrick. Welcome to Sedalia Business Women, Jean!